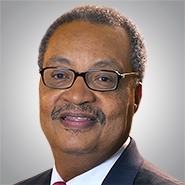 MILWAUKEE, Wis. — The national law firm of Quarles & Brady LLP today announced that chairman emeritus John W. Daniels, Jr. has been named to Savoy Magazine’s 2015 Most Influential Black Lawyers List. “Savoy is proud to congratulate those recognized within the 2015 Most Influential Black Lawyers listing. We salute their achievement and leadership working at the highest levels within firms of influence and global corporations,” stated the magazine in its spring issue. The 2015 listing is comprised of the “best of the best” of African-American lawyers serving as partners within leading national law firms and as corporate counsel for Fortune 1000 corporations. Those recognized represent an influential cross section of legal professionals with a diverse range of skills and national and global responsibilities. Daniels has established a remarkable career in the practice of real estate law, representing national, regional, local, and governmental owners and investors. He has been called one of “the 50 most influential diverse attorneys in America” by the National Bar Association and one of “100 Managing Partners You Need to Know” by Lawdragon. Daniels received his law degree from Harvard Law School, his master's degree from the University of Wisconsin, and his bachelor's degree from North Central College. Savoy is a national publication covering the power, substance, and style of African-American lifestyle. From entertainment to sports, business to politics, design to style, Savoy is a cultural catalyst for the African-American community that showcases and drives positive dialogue on and about black culture. Savoy is published quarterly and distributed via subscriptions and newsstands worldwide.